Save AED 38 (49.35%) – Earn 4 Shukrans What is Shukran? Shukran is the Landmark Group’s award-winning loyalty programme in the Middle East, which allows you to earn Shukrans when you shop any of our brands. 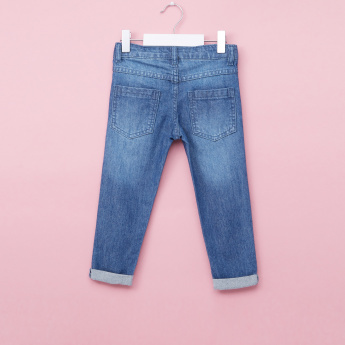 Your boy will look smart and unique when he wears these comfortable jeans. 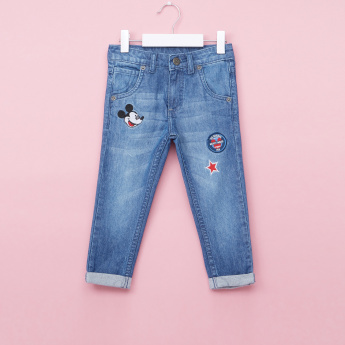 Sporting distinct Mickey Mouse badge detail and a rolled-up hem, this pair of jeans have a button closure that lends a perfect fit. 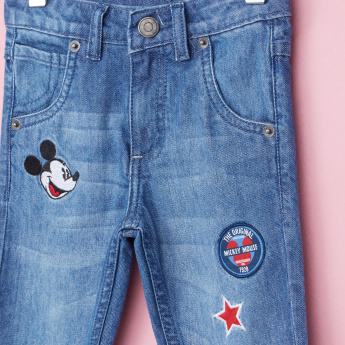 The pocket detail adds more charm to the piece.